Another great, less-known place to get away from the standard tourist route. I would also name it a hike for beginners. 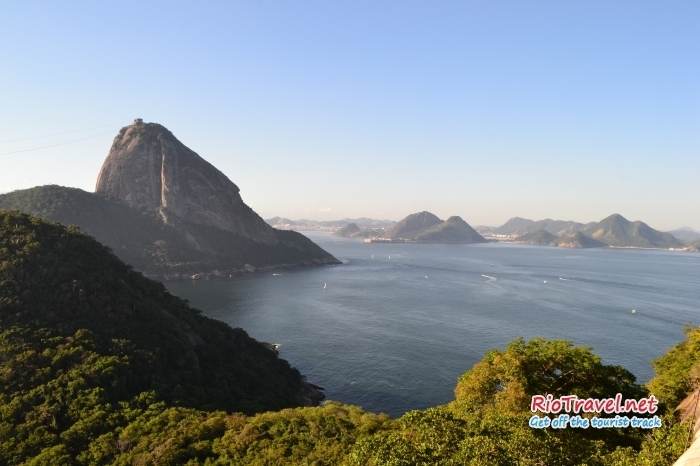 Leme Hill is really easy to hike, comparing to other mountains in Rio. 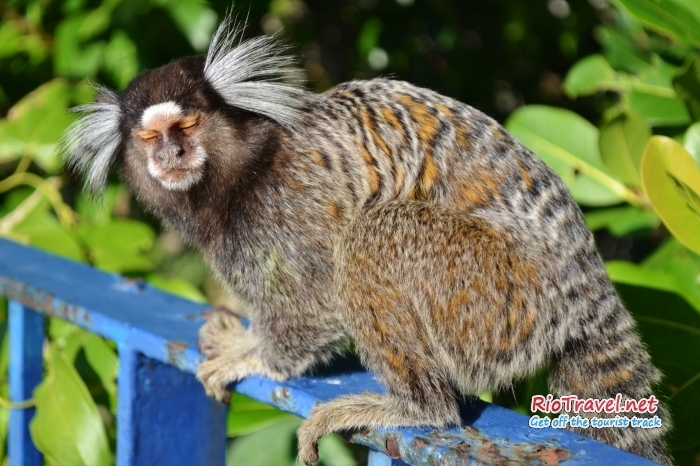 You will pass through a beautiful forest reserve and most probably meet marmoset monkeys on your way. 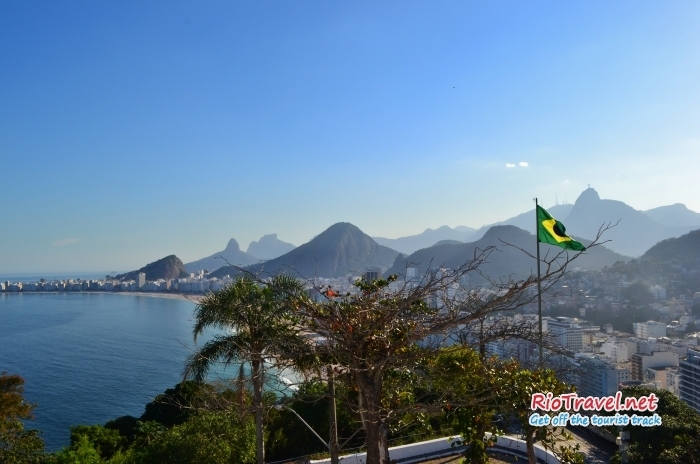 From one side you will see the Sugar Loaf and the beginning of the Guanabara Bay. 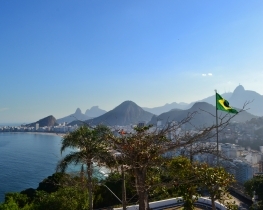 Further on the top there is a full view of the Copacabana beach. 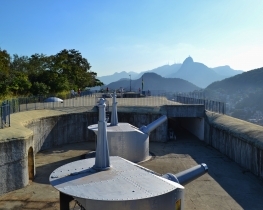 You can also visit Forte Duque de Caxias (more known as Leme Fort), one of the oldest fortresses of Rio de Janeiro. 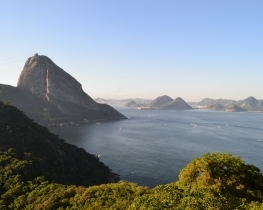 It is possible to hike the hill in the end of Leme beach. It is a military control area, but accessible for general public. 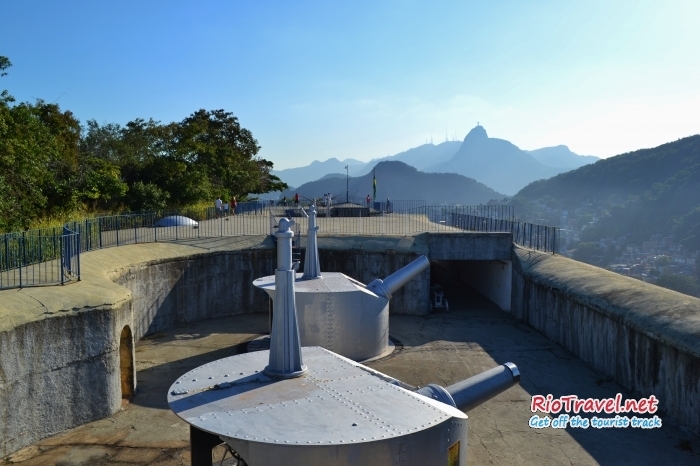 On top of the hill you will find a great fort with impressive big open spaces and superb views of the Copacabana beach and the Sugar Loaf. I have no idea why this place is not in most tourist guides, as it is equally impressive as Forte de Copacabana on the other end of the beach. Leme fort is definitely worth a visit, even just for the views if you are not interested in military structures. The word "leme" means rudder in Portuguese. According to some sources, the name comes from the fact that Leme stone resembles the rudder of a ship, when looking from above. 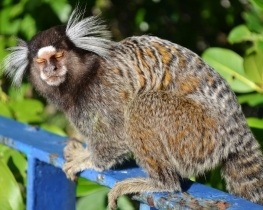 Leme Fort was built in 1776 and it's aim was to monitor foreign ships in Guanabara Bay. In 1965 it transformed into educational institution of Brazilian army Centro de Estudos de Pessoal e Forte Duque de Caxias, dedicated to study and research the area of human behavior. In 2010 the fort was opened to the public. The hill and fort areas are under military supervision, so they are very safe. 3. Walk the main street (follow the bike road) until you get to Copacabana. 4. Continue walking until the end of the beach. 5. The entrance is located at the left side of the mountain.